In the "Ticket Insights", the owner can see a graph displaying the Customer Over Tickets and a Filter View in which one can filter reports for better insights according to the agent, customer, group, priority, type, team & Source. You can also check the report by selecting the from and to date and check the progress for that particular week. One can also see total counts in New Tickets, Replied Per Ticket, Tickets Per Agent, Tickets Unanswered, Tickets Resolved. On the right side, one can also see the Average Ticket Measures block which will display Avg. Reply time in seconds, Avg. Resolution time is seconds and Avg. First Reply time. In Fastest Ticket Records block, one can see Fastest Reply in seconds, Fastest Resolution in seconds and Fastest First Reply in seconds. In the lower section of Ticket Insights, one can see Ticket Channels Pie Chart which depicts the source of the tickets. 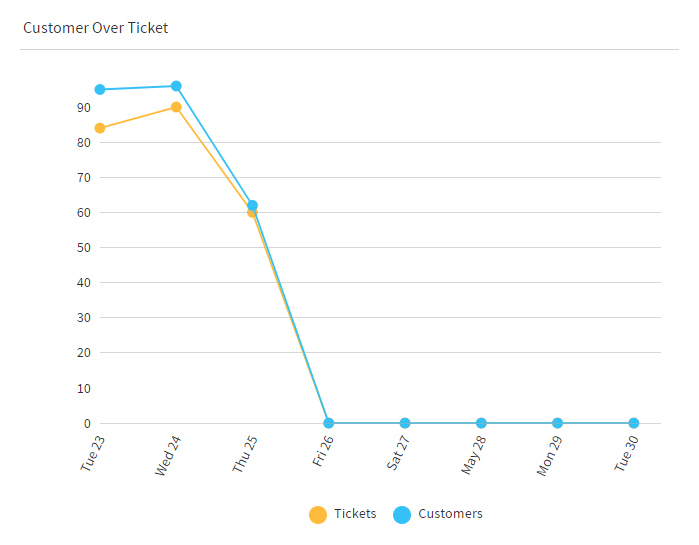 In the Ticket Priorities, one can see the priorities of the tickets in the bar graph. In the Ticket Status, one can see the status of the tickets in the graph view. In the case of any doubt, please email us at support@uvdesk.com and we will surely come up with the best solution possible. UVdesk - What is Kudos?